A seafoam green candle with a sweet grass blend. 2.5 x 6.5 pillar burns for 80 hours. Awakening the sweetness of life! 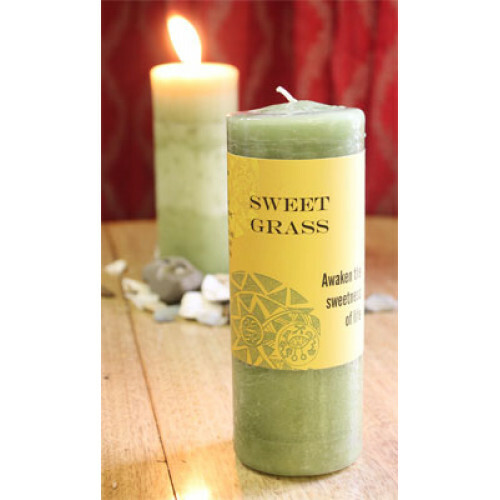 Sweet grass has been used for centuries by the native american people to cleanse away the worries, stress and energies that keep us apart from the sweetness of life. It is burnt to bring forth the wisdom of all peoples of Turtle Island (the Americas). 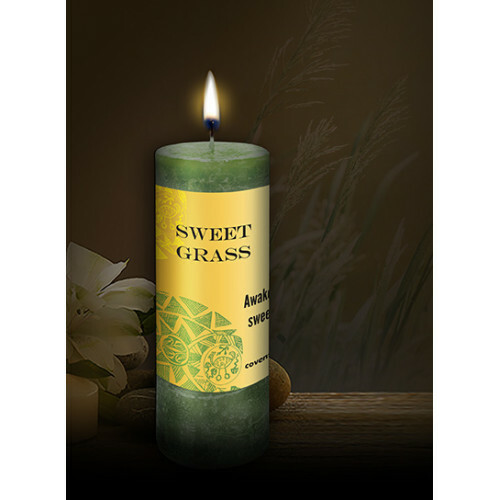 Placing this candle on your altar, will inspire you to see the beauty that is present in your life. This awakened appreciation will illuminate new paths and answers that had been locked away.